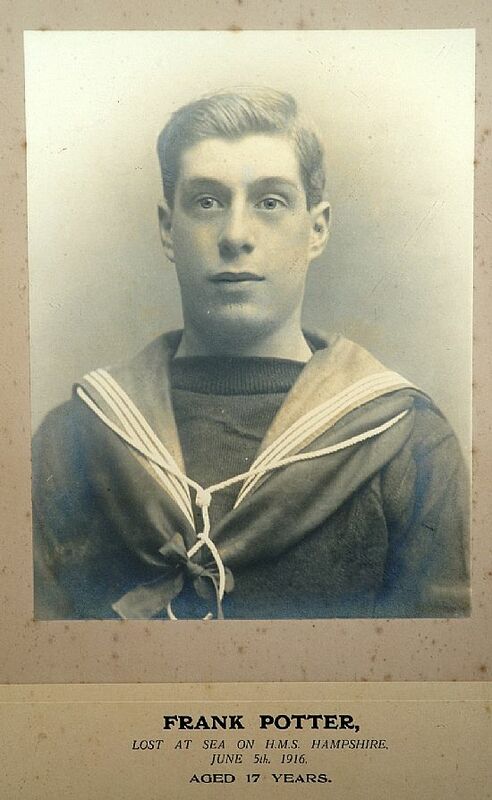 Sunday 5th June 2016 at exactly 8.45pm (BST) was the one hundredth anniversary of the loss of the HMS Hampshire, with the loss of all but twelve hands. 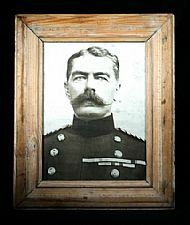 On board the Hampshire was the highest ranking British officer lost in World War One, Secretary of State for War Lord Kitchener. 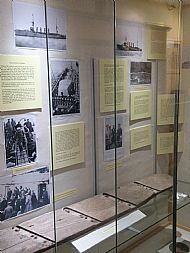 Until investigations by members of the Orkney Heritage Society and local historians, it was believed that around 650 men were lost that night but it has now been brought to light that the total number was 737. 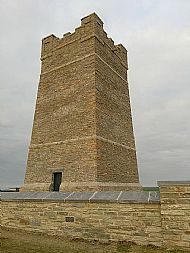 In the 1920s a memorial was erected on the shore closest to the lost ship off Orkney's west coast, and to commemorate the many lost a new wall incorporating the name of all those lost will be erected around the base of the memorial, to be unveiled on the 100th anniversary. 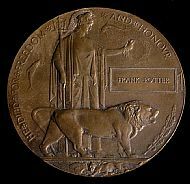 It will also commemorate the loss of the men aboard the HM Drifter Laurel Crown, lost on 22 June 1916 in the same minefeld which sunk the HMS Hampshire. Find out more via http://hmshampshire.org/, which lists the names of every man lost. 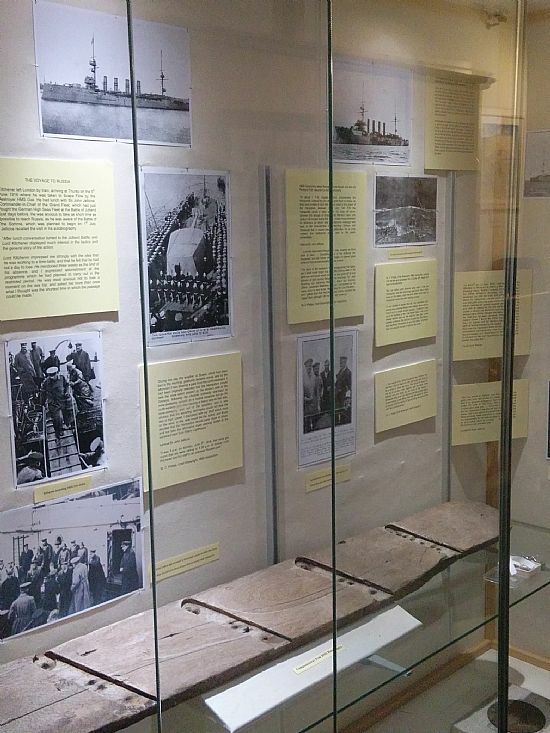 Part of our exhibition on the loss of the HMS Hampshire, 5th June 1916. One of the many commemorative items created after the loss of the Hampshire, upon which Secretary of State for War, Lord Kitchener, was lost. 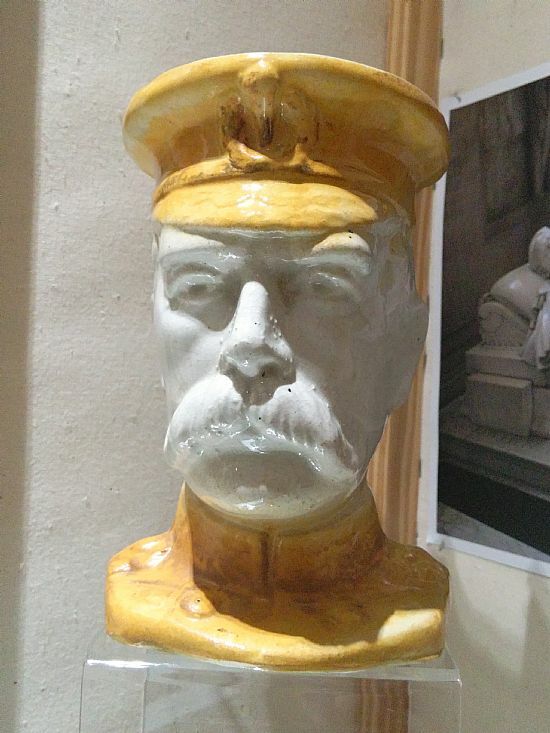 This is a drinking vessel, commonly known as a Toby Jug. 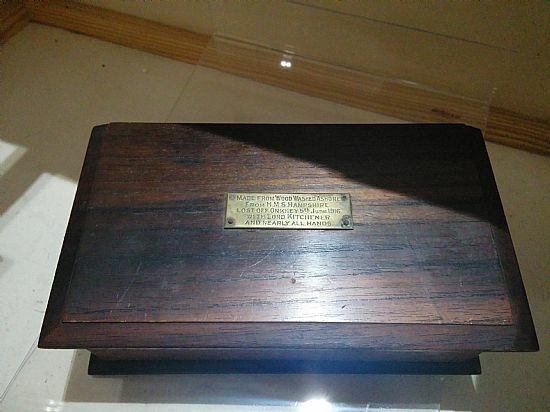 This box was made using wood recovered from the wreck of the HMS Hampshire. 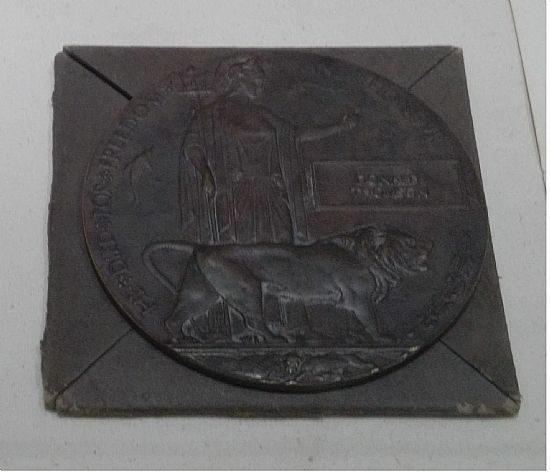 A Memorial Plaque, commonly called the 'Death Penny' was issued after the First World War to the next-of-kin of all British and Empire service personnel who were killed as a result of the war. The one in our exhibition was issued to the next-of-kin of 17 year old Frank Potter. A wall was erected around the bottom of the memorial erected in the 1920s, on which the names of all men lost on both the HMS Hampshire and the MV Laurel Crown are commemorated. 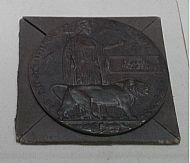 You can find out more via the Orkney Heritage Society website.